All MCC Library ebooks can be read online or downloaded with an Internet connection. See samples below to see the difference. Note: Downloading any MCC Library ebook requires free Adobe Digital Editions software. Reading ebooks on a mobile device (phone or tablet) requires reader software such as Bluefire. Choose Download Book when you find a book. Choose your device. (laptop, iOS, Android). Check out (Choose 1 – 21 days). Download chapter or book (PDF) to laptop or mobile device. 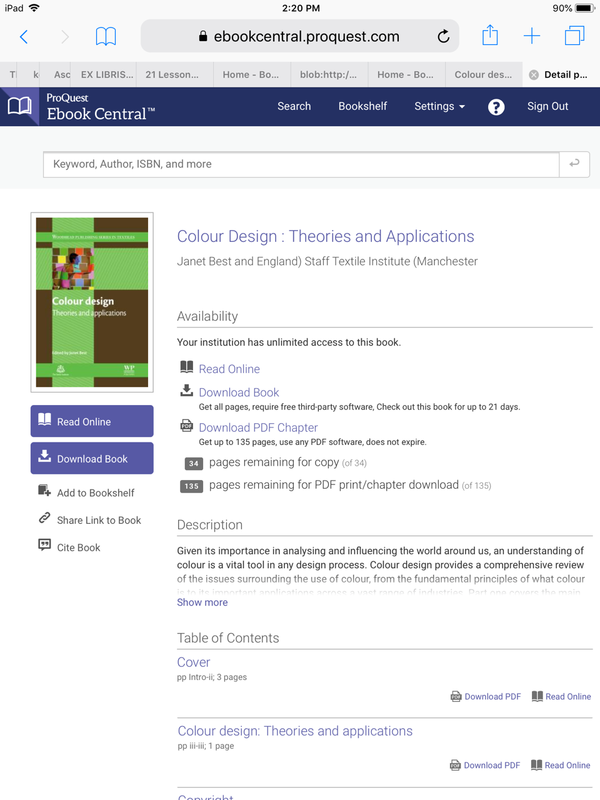 For more information and images of the steps in the download process, see ProQuest's guide. Choose Download when you find a book. Sign in to My EBSCO Host account (Free. one-time set up). Check out ( Choose 1 – 21 days). Download chapter or book (PDF or EPUB) to laptop or mobile device. Chapter and book download both require free Adobe Digital Editions software installed and authorized (first time only) with Adobe ID. Mobile devices (iOS and Android) need free Bluefire Reader installed and authorized (first time only) with Adobe ID. For more information about EBSCO ebooks, see this video (2:54).